Wilkens Fruit and Fir Farm was founded in 1916. In May 1916 John Wilkens, his sister Anna Wilkens, and Jeremiah Murphy formed a partnership and purchased 71 acres of the 180 acres that makes up the farm today. During this time the farm was a successful all-purpose farm including cattle, apples and peaches. While John Wilkens was developing the farm and building barns on the property (all of which are still standing today). Jeremiah Murphy purchased 105 acres to increase the acreage of their farm. In the 1920s the cider mill was built and John Wilkens took the cider that he made down to New York City and sold it as hard cider in stubbes during Prohibition. Using the money made from selling cider, John and Anna Wilkens paid off their mortgage to Jeremiah Murphy and fully gained ownership of the land in 1926. By 1926 the stone farm house was built and mature apple orchards filled the east and west side hills. Young apple trees were planted in the south. In the 1930s the farm started to develop even more by continuing to plant apple and peach trees and selling their produce wholesale to nearby farmers including Pataki, Woodard and Kear. At this point in time the farm became more of a fruit farm by growing mostly grapes, strawberries, peaches, apples and corn as well as chickens. In the 1940s and 1950s John Wilkens began to hire people to pick apples and put in a bottling line in the cider mill. During this time the cider mill ran 18 hours a day to increase the production of apple cider. 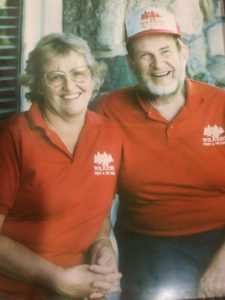 In 1951 Peter and Anna Wilkens moved to the farm to help run the sales barn where the apples and cider were sold. 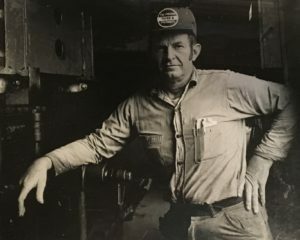 In 1966 John Wilkens passed away and his nephew Johnny Wilkens and his wife Barbara Keller Wilkens took over the business and running the farm. 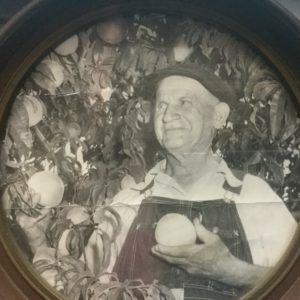 In 1968 the orchard was open for the first time to the public as a Pick-Yo ur-Own operation after a hurricane knocked much of the fruit on the ground and it has been open every harvest since then. In the early 1970s the first Christmas trees were planted to replace dying peach trees and extend the fall season. Christmas trees were first sold on a Cut-Your-Own basis in 1976. In the 1970s,school tours were also added in the Fall to provide a brief farm experience to thousands of children nearby and wholesale cider ended due to the emergence of juice concentrate. Fresh apple cider is still produced for sale in the farm market on the premises. The 1990s brought more changes to the farm as Johnny Wilkens passed away and the third generation, gradually took over the farm operation. In the early 90s Randy Pratt began working closely with Johnny Wilkens to learn the ins and outs of farming while his wife Barbie Wilkens Pratt learned the Pick-Your-Own operation before Johnny Wilkens passed in 1997. Pumpkins were planted and the pick-your-own patch became a new crop for the farm. The bake shop was renovated providing the needed space to make more apple cider donuts and fruit pies were added. In the 2000s new orchards of apples and peaches were planted to replenish the fields and two miles of fence were erected to surround the growing areas and keep the destructive white tail deer out. In 2010 five different varieties of grapes were planted to make wine and supplement the farm’s offerings. Today the farm continues mainly as a Pick-Your-Own and Choose-and-Cut farm with peaches, plums, nectarines, pears, over 40 varieties of apples, pumpkins, and Douglas and Fraser Fir Christmas trees available for harvest. Two of the original barns are open to the public as markets. One barn functions as a bakery with apple cider donuts, strudel sticks and fruit pies available. The other barn is primarily the farm market with pre-picked produce, fresh apple cider, honey, maple syrup and preserves. There is also a gift shop on the second floor of the farm market. The cider mill is still used today for fresh cider production and a winery has replaced the foot print of the bottling line. The winery will open in Fall 2016. Barbara Keller Wilkens still resides on the farm and Barbie Wilkens Pratt and Randy Pratt currently operate the farm with the help of both 3rd and 4th generation family members.